IBSA operations are overseen by an experienced, independent board of 7 directors. John Vines has been Chair of the IBSA Board since 2004. From 1984-2008 he was Chief Executive of the Association of Professional Engineers, Scientists and Managers, Australia (APESMA). A civil engineer by profession, John Vines has an economics degree and a Master of Business Administration. He is Chairman of Austbrokers Countrywide Financial Services Group and the Professional Standards Council, a Director of Carroll and Richardson, and a Fellow of the Australian Institute of Company Directors. Until recently, he was a member of the National Skills Standards Council and the Minimum Wage Panel, Fair Work Commission. John has been a member of Government boards and inquiries including a member of the Australian Science, Technology and Engineering Council (1991–1997), a member of the Prime Minister’s Science, Engineering and Innovation Council (1990-1997) and Deputy Chair of the Australian Government’s Industry Task Force on Leadership and Management Skills (1993–1995). Peter Costantini has extensive executive leadership experience in the private and not-for-profit sectors. He has been a Director of IBSA since 2004 and chair of the Finance, Audit and Risk Management Committee since 2008. Peter is the Managing Director of the SAS Group – a specialist government and business relations and strategic communications firm. He is the Vice President of The Brisbane Club and chair of the Property and Finance Committees. He was previously a General Manager with the Queensland Chamber of Commerce and Industry, responsible for employment, education and training policy and Chief Executive Officer of Queensland Apprenticeship Services. He was a member for 10 years of the Australian Chamber of Commerce and Industry Ministerial Advisory Committee on Education and Training. He holds a Master of Business Administration, a Bachelor of Business (Marketing), and is a member of the Australian Institute of Company Directors. Rhyll Gardner is a highly experienced senior executive and consultant with a diverse and distinguished career in financial services operating at executive and general management across a wide variety of disciplines. Her 25 years of expertise and experience spans across strategy, marketing and communications, training, risk management, sales, product management and finance. Her senior management roles have included managing large teams of more than 1,000 people and building capability, professionalism and innovation capacity in the workforce. Rhyll’s previous executive positions include Managing Director, Queensland and General Manager, Northern NSW for St. George Bank and, General Manager, Strategy for Westpac and Head of Strategy and M&A for Bank of Queensland. She holds Bachelor degrees in Economics and Commerce, a Masters degree in Applied Finance and an Executive MBA from INSEAD. She is also a Graduate Member of the Australian Institute of Company Directors. Graeme Russell is the Chief Executive Officer of Media Super, the industry super fund for print, media, entertainment and arts professionals, providing superannuation and pension products and services to more than 90,000 members and 13,000 participating employers. Graeme has senior management experience across a range of companies in the financial services, business services and media industries, as well as management and consulting experience in the education and training sector. Graeme was CEO of First Super from 2008 to March 2013 and previously Chief of Staff for the Victorian Minister for Public Transport and the Arts. He has extensive experience at Board level with major industry super funds and private companies. Graeme has held senior community leadership roles, including as a Councillor and Mayor and has been involved in challenging change environments in his roles in private and public organisations. 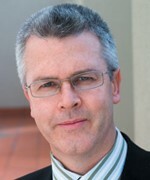 Graeme holds a Bachelor of Business (Accounting) and a Graduate Diploma of Applied Finance (Financial Planning) and is a Fellow of the Institute of Chartered Accountants, a Fellow of the Australian Institute of Superannuation Trustees, and a Fellow at the Australian Institute of Company Directors. Graeme is a member of IBSA’s Finance, Audit and Risk Management Committee. Chris Walton is the CEO of Professionals Australia, an organisation that represents over 24,000 engineers and technical professionals. Prior to joining Professionals Australia in 2008, Chris was worked at the ACTU for 14 years and was ACTU Assistant Secretary from 2002-2008. Chris has a Bachelor of Commerce degree, a Graduate Diploma in Labour Law and is a Graduate Member of the Australian Institute of Company Directors. Susan Wilson has a recognised national profile in innovation from a public and private sector career across industry, government and research. She is Founder/Director of human-centred design and innovation consultancy, Bounce Partners. 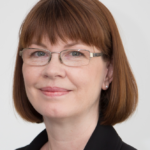 Originally an R&D scientist (AMCOR and Peptide Technology), Susan has international and crossfunctional commercial management experience in start-up to tier 1 multinational companies in the biotechnology, agrifood, pharmaceutical, medtech, consumer electronics and heavy manufacturing industries, working for companies including Sanitarium, Pfizer, CR Bard and Becton Dickinson. She has widely contributed to Australia’s national innovation and science agenda through her governance, advisory and C-suite executive work building Australia’s innovation ecosystem; including the Innovation & Science Australia Board, Regional Development Australia Hunter, Agrifutures Australia, Deakin University, Start-Up Muster, Central Coast Medical Precinct Taskforce and the Manufacturing Industry Innovation Precinct. Susan holds a Bachelor of Science (Macquarie University; Biotechnology), Master of Business Administration (Macquarie Graduate School of Management; Strategy, Marketing) and professional governance qualifications (Graduate – Company Directors Course, Australian Institute of Company Directors). She also holds professional certifications in design thinking, culture and change leadership from world leading US innovation consultancy, IDEO. Her interests include innovation policy, ecosystem development, innovation governance, culture and future workforce development; particularly in STEM, urban and regional areas. Anne Younger is the General Manager, Education and Training at the Australian Industry Group (Ai Group), responsible for policy development and major projects. Anne previously worked as an economist at Ai Group, managing their training services and, prior to that, managed Ai Group’s national team of business advisers under the Federal Government’s Enterprise Connect program to improve productivity in small and medium-sized enterprises. Anne was also the National Industry Career Specialist for Innovation and Business under the Federal Government’s Career Advice Australia program at Ai Group. Before joining Ai Group, Anne worked for more than 25 years in the VET sector in a range of roles involving Project Management, policy planning, and research and quality management. Anne holds a Master of Education in Educational Leadership and Management, a Bachelor of Economics and a Certificate IV in Assessment and Workplace Training.